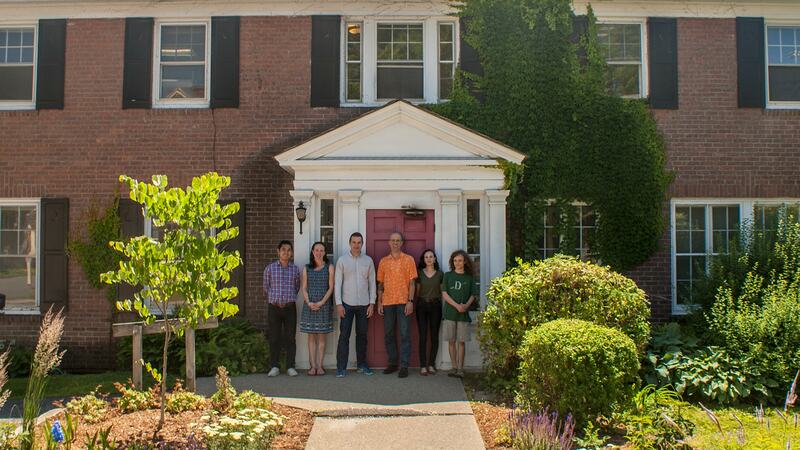 We're a small custom software development firm located in scenic Brattleboro, Vermont. Founded in 2009, we do projects big and small, from working for companies in the Fortune 500 to helping launch startups from scratch. We've also got public sector experience that includes work for universities as well as government grant-funded research. We specialize in projects for the web and mobile apps. We describe our work as "custom software" because that's our sweet spot: when you've evaluated a dozen databases made for your industry and none of them fits your organization's needs, we can help. If your brand identity calls for a website design that's not an off-the-shelf theme, or you need user experience that's not like all your competitors, we can build it for you. You can get an overview of some recent projects below. Contact us to talk about what you're looking for and we can get into the details of other relevant work we may have done. For over 30 years, Halo has distinguished itself by offering pet foods that rely on whole meat, and never including any “meat meal” in their products. In 2016, Halo extended it’s commitment to pets, people, and the planet by adopting a philosophy encompassing a holistic approach to ingredient sourcing, recipes, and nutritional value. Halo calls their new approach “OrigiNative”, and in order to communicate their expanded mission, they re-launched their brand with an updated logo, new packaging, and all new collateral materials. Shortly after launching a redesigned website for New Chapter in 2010, we developed an iPhone app for them with strategic integration with the website. The app included a detailed product catalog, a personalized product recommendation engine, and a custom store locator. In response to customer dissatisfaction with their FiberMark brand website, we were brought in by Neenah Paper to lead an research-based initiative to improve the user expertise. We developed questionnaires and led usability testing with multiple focus groups, determined necessary improvements and oversaw their implementation, then reported on performance improvements in user satisfaction and conversions based on analysis of usage patterns. We’ve worked with Procter & Gamble on their New Chapter brand website since 2010, migrating it to Drupal and producing two complete redesigns, including an expansion into Canada, as well as building a custom 3D interactive product catalog. We also provide a secure hosting solution for them, designed to meet the strict requirements of their global regulatory and accessibility requirements. We built a new Drupal-based content management system for the main home page for the UMass Amherst. Starting with support for pages providing a broad collection of overview information for the university, we also built in deep integration with the UMass News Office and their Calendar of Events, seamless stitching together multiple content management systems from different departments into a singular unified experience for the public. In 2010 Organic Gardening Magazine updated the visual design of their print magazine, and they needed a refresh of their website to match. Our charter was to create a premium online Organic Gardening Community, connecting and exchanging with gardeners throughout the US and around the world. We worked with OG’s staff to create new information architecture for the website, provided graphic design for over a dozen page types, and produced detailed design specifications for their Drupal development firm. After UMass decided to standardize on the Drupal platform, they came to us to rebuild their News Office website with enhanced capabilities. We build support for a multi-stage editorial workflow, including different content types for a variety of internal and external audiences. We also created an advanced search system, allowing journalists and researchers to do searches for ideal candidates for talks, interviews, and reviews. * Clinical trial software. started with research design, protocols, multi-level (interchangeable) user roles, thousands of offices, calendars, and in-office subject data collection. FDA, HIPPA, and IRB compliant. * Custom platform built in Ruby on rails. * Custom work process. Worked closely with our client, Circuit Clinical, to create completely new, from scratch, state of the art software experience. * For iPad and desktop applications. UMass came to us with complex requirements for a calendar that spanned multiple organizations, built on a proprietary platform they could no longer maintain. We moved them to a Drupal-based platform, including custom support for more sophisticated recurring events than they could get from any standard calendaring software. We worked with Green River Data Analysis to develop software for Starbucks to facilitate their supply chain auditing for global coffee sourcing, with a user-base that spanned several independent verification organizations in multiple languages. Our software implemented complex processing to compute compliance status and graphically report results, and synchronized data with their internal agronomy database. Intellidimension provides Semantic Web infrastructure software, and we worked with them on making it possible to distribute their database across multiple servers. Our work helped make queries that were slow on an individual server run lightning fast when deployed on a server farm for big data applications.